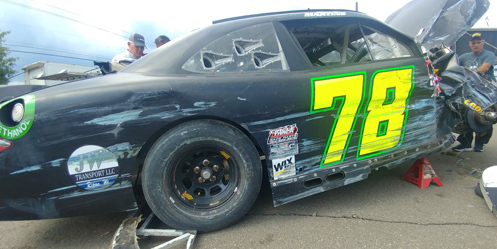 Tommy Joe Martins picked up the 1st last-place finish of his NASCAR XFINITY Series career in Saturday’s Zippo 200 at Watkins Glen International when his #78 JW Transport Toyota fell out in a single-car accident after he completed 3 of 82 laps. 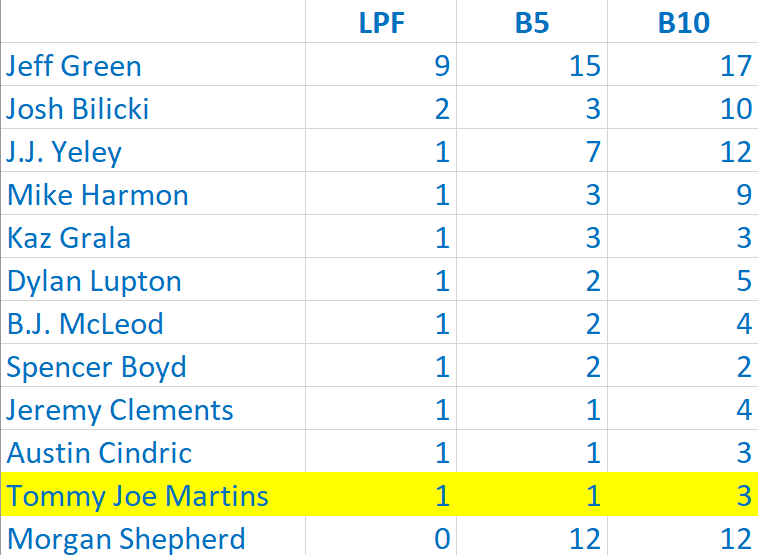 The finish came in Martins’ 34th series start. In the XFINITY Series last-place rankings, it’s the 4th for car #78, the 120th for Toyota, and the 317th because of a crash. Across NASCAR’s top three series, it’s the 31st for the #78, the 299th for Toyota, and the 1,155th because of a crash. As described in our earlier feature on B.J. McLeod, Martins is one of the many drivers who competes for McLeod’s XFINITY Series team. The former Truck Series owner-driver first joined McLeod’s team at Pocono last year, and two rounds later earned the driver’s career-best finish of 11th at Iowa. Sunday marked his 14th start in 20 XFINITY races in 2018, dating back to Atlanta in February. His season-best finish stands as an 18th at Talladega. 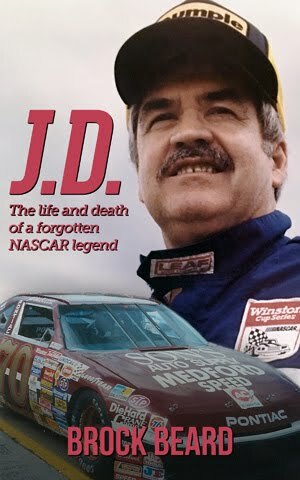 Ever since June’s race at Michigan, Martins has moved from the #8 to the McLeod program’s primary #78. At The Glen, Martins would run a Toyota, which the team had prepared to run both at Watkins Glen and this Saturday at Mid-Ohio. The Glen car carried a small round logo behind the rear tires with a decal for JW Transport, which was listed as the team’s primary sponsor. Having never driven an XFINITY Series car at The Glen before, Martins was required to turn at least one lap on Friday. This wouldn’t have been a big deal, except that heavy rains soaked the track that day, forcing him to run on rain tires. With the chance of rain reduced for the race on Saturday, most teams chose not to run. Martins stayed out of opening practice, then turned his only lap in Happy Hour at 78.531mph, slowest of nine drivers to brave the elements by more than 20 seconds. With the rain gone on the first part of Saturday, Martins’ speed improved to 116.256mph (1 minute, 15.867 seconds), ranking him 30th for the race. The lone driver to miss the field was Stephen Leicht, who ran faster than all but one of the seven drivers locked in by Owner Points, and tied the second-ranked of that group. 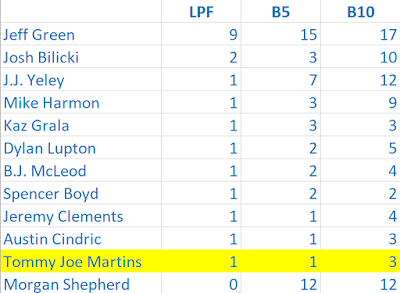 Still, Leicht’s lap was a full 1.3 seconds shy of Jeff Green, who would make his 500th series start from the 33rd spot. 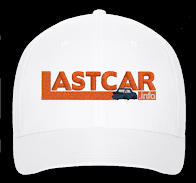 Leicht became the 41st entry following three withdrawals in the week, starting with owner-driver Morgan Shepherd on Wednesday. Both JP Motorsports and Motorsports Business Management also withdrew a team car for David Levine and Carl Long, respectively. Levine’s blue #55 Toyota was still on the JP trailer by race day. Starting last in the 40-car field was Vinnie Miller, JD Motorsports’ driver in the bright red #01 Chevrolet. Due to an apparent issue with the team’s equipment, Miller’s crew was using the war wagon from TriStar Motorsports’ Cup team and had a pit board whose numbers were crafted out of what appeared to be a square of cardboard and strips of bright yellow and orange tape. Miller also happened to be one of no less than 11 starters who incurred tail-end penalties prior to the start. Both Miller and Tyler Reddick were docked for tire changes. Austin Cindric went to a backup car after a tangle in qualifying. The other eight were due to unapproved adjustments: Scott Heckert, Brandon Jones, Alex Labbe, Ryan Sieg, Josh Bilicki, Kaz Grala, Spencer Boyd, and Brian Henderson. Among this group, Henderson lost a wheel in qualifying, Grala had a brake issue, and Heckert, Martins’ teammate in the McLeod #8, slammed the barriers with the left-rear, forcing last-minute repairs. On the first pace lap, Chad Finchum pulled down pit road in MBM’s #40 Smithbilt Toyota. He pitted his car near the exit of pit road, between the stalls occupied by the much larger war wagons belonging to Penske Racing teammates (and front-row starters) Joey Logano and Brad Keselowski. On the second pace lap, Heckert, Cindric, and Green pulled out of line to the right and fell to the rear. This put Green and Finchum in the final two spots when the race began, and both were slow getting up to speed as the field drew away. At the end of the first green-flag lap, Fichum held last place by open ground behind Green and the rest of the field. That changed seconds later when Josh Bilicki, a tire mark behind the right-front wheel, pulled his #45 Prevagen Toyota down pit road. Bilicki’s JP Motorsports entry returned to the track, as did Green, who made his way into a nearly-empty stall on Lap 3. The crew looked over Green’s car, and sent him back out. Bilicki made a second stop that time by, and was now contesting Green for last place. Only then did Martins enter the picture. On Lap 4, when he was running in the middle of the pack, Martins’ #78 started smoking as he entered Turn 6 (Turn 10 on the full course). The brakes on his car stopped responding. Just days after Bubba Wallace’s hard crash at Pocono, Martins turned his car to the right and started riding the outside wall. 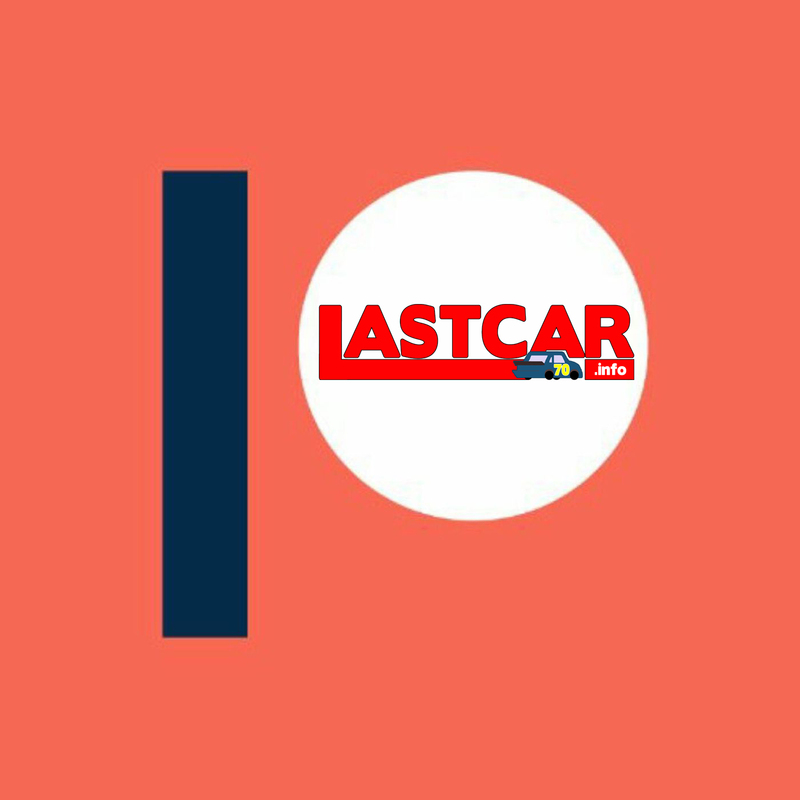 This steered his car onto a narrow strip of grass that ringed the large gravel trap, which the car followed all the way into the retaining barrier, destroying the right-front of the car and shoving the splitter so far back that it dragged beneath the rear bumper. Fortunately, Martins walked away unhurt and was checked and released from the care center. It wasn’t until Lap 7 that Martins’ car was towed back to the garage area, moments after the ambulance brought the driver to the medical center. We followed the car back to the waiting transporter at the far end of the XFINITY garage, where a frustrated Martins explained what happened. Shortly after we arrived on scene, Green’s #93 pulled up and parked at the RSS Racing trailer across from Martins’, citing brake issues. The next two spots were filled by Justin Haley, whose return to the #24 Fraternal Order of Eagles Chevrolet with GMS Racing ended after he tangled with the Richard Childress-prepared #2 Tunity Chevrolet at the exit of the Esses, demolishing both cars. Curiously, Haley’s yellow-line pass in his most recent XFINITY start at Daytona was played as part of NASCAR’s hype video prior to Saturday’s start. Rounding out the group was Timmy Hill, the lone Dodge in the field, who cited rear gear trouble on the #66 CrashClaimsR.us / MBM Motorsports machine. 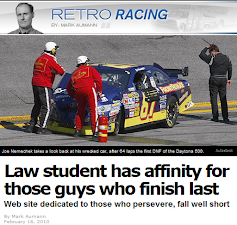 *This marked only the second last-place finish for B.J. McLeod’s #78 car and the first for the number at Watkins Glen. The number’s most recent last-place run was B.J. McLeod’s engine problem on July 1, 2016, when the #78 Safecraft Safety Equipment / Momo Ford exited after the opening lap.